At HBS today, MBA students are challenged to think about different countries and different business contexts throughout their two years. 28% of the cases taught in the first-year Required Curriculum and 38% of cases in the second-year Elective Curriculum are globally focused. Last year, over half the new cases and 40% of all faculty research had a global focus and setting. To develop a truly global mindset, first-year students are required to travel abroad—the global component of the Field Immersion Experiences for Leadership Development (FIELD) course—to work on a product or service idea in global markets. 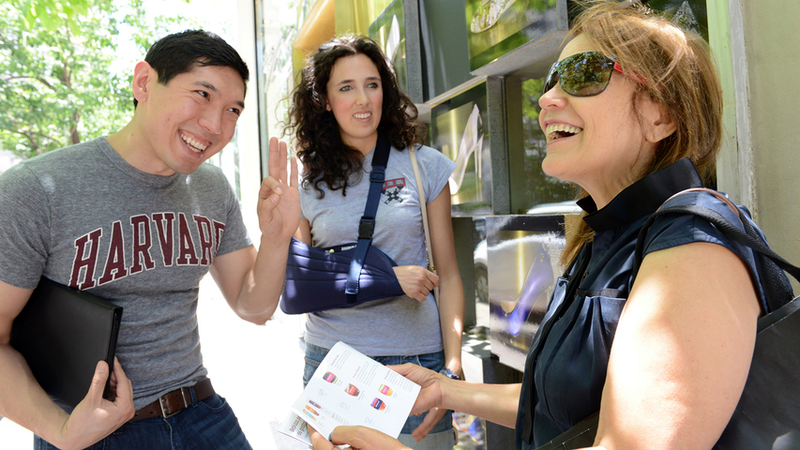 The HBS experience is inherently international. More than half of all HBS cases have an international focus, and a wide variety of MBA courses and cases directly address global business issues. To support its research and case development process, the School maintains a network of 8 global research centers in Hong Kong, Tokyo, Shanghai, Paris, Buenos Aires, Mumbai, Istanbul, and Palo Alto. But the global connections at HBS are personal as well. Over the last few years, international students have represented over one-third of the MBA class. Every section is in itself a virtual seminar in international relations, drawing talented students from all over the world—and from every industry and professional interest—into active discussions enriched by diverse perspectives and points of view.